马来西亚吉隆坡. 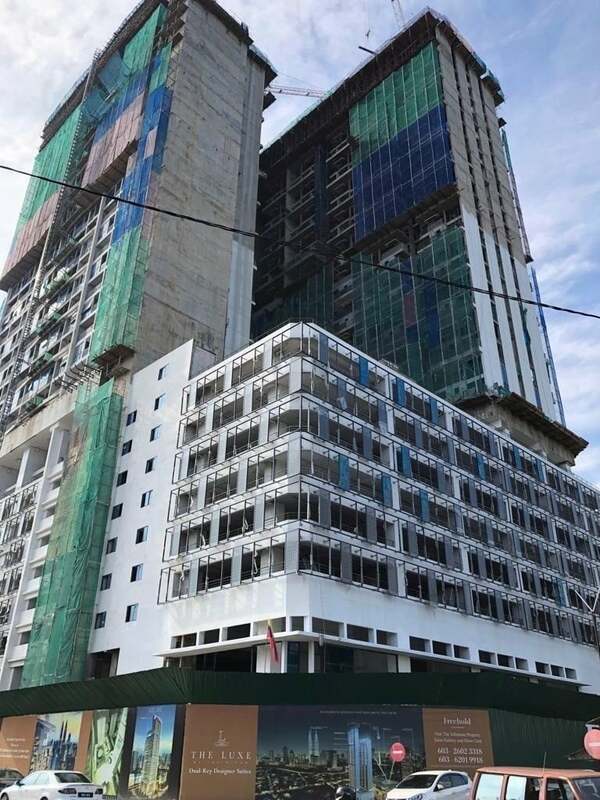 The Luxe / Colony Infinitum at KLCC - Latest Construction Update! Virtually integrated with Shopping Mall and Train Station. Popular Choices: Dual Keys 2BR Facing Genting Highlands Limited Last Few! 3BR Dual Views to Genting Highlands & KLCC Twin Towers Available! The Colony/ The Luxe by Infinitum is a FREEHOLD mixed development located along Jalan Sultna Sulaiman, just next to Quill City Mall and Medan Tuanku LRT which connects The Colony with Bukit Bintang shopping malls such Lot 10 and Pavilion. Petronas Twin Tower and Suria mall is also within 5 minutes drive. The Colony by Infinitum (or Wisma Infinitum) is a project by two renowned Singapore developers, Macly Group and Roxy­Pacific, to make an iconic skyscraper with total 723 units of SOHO and 31 units of commercial shop lots. 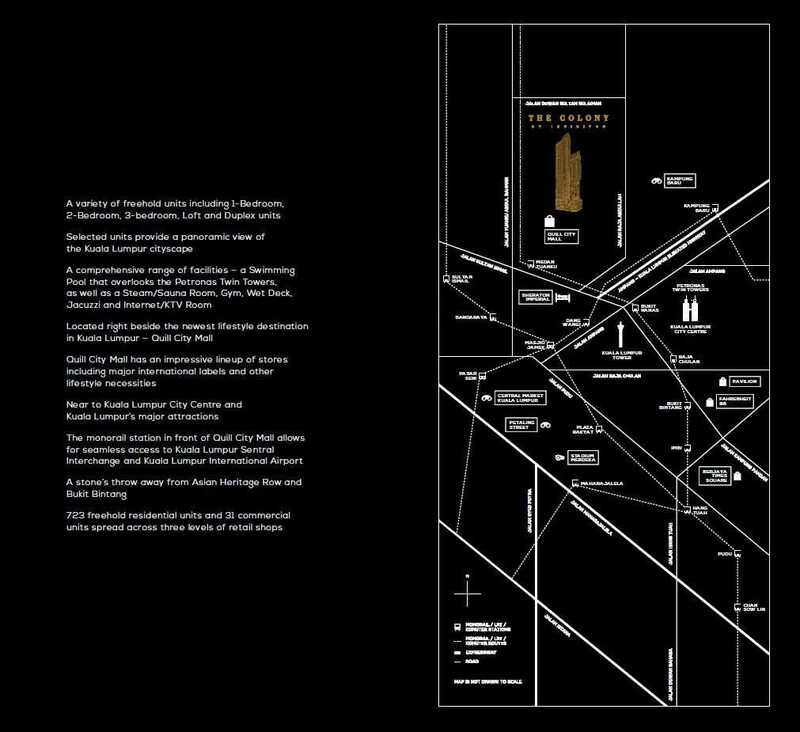 The Colony/ The Luxe is surrounded with amenities that are both good for business and SOHO unit owners. Shopping malls, restaurants, banks, supermarts, schools, and public transportation are easily accessible as they are only a stone’s throw away from Wisma Infinitum. Shopping malls nearby include Maju Junction Mall, Fahrrenheit 88, Starhill Gallery, Quill City Mall, Pavillon KL, Berjaya Times Square, Kuala Lumpur City Centre (KLCC), and Bukit Bintang Shopping District. Prestigious schools and universities are also in close proximity, including Open University Malaysia, Asia School of Business, Universiti Kuala Lumpur, International Modern Arabic School (IMAS), SJK (C) Chung Kwok, and Universiti Malaya Kampus Kota. Every unit is Dual-Keys in nature! 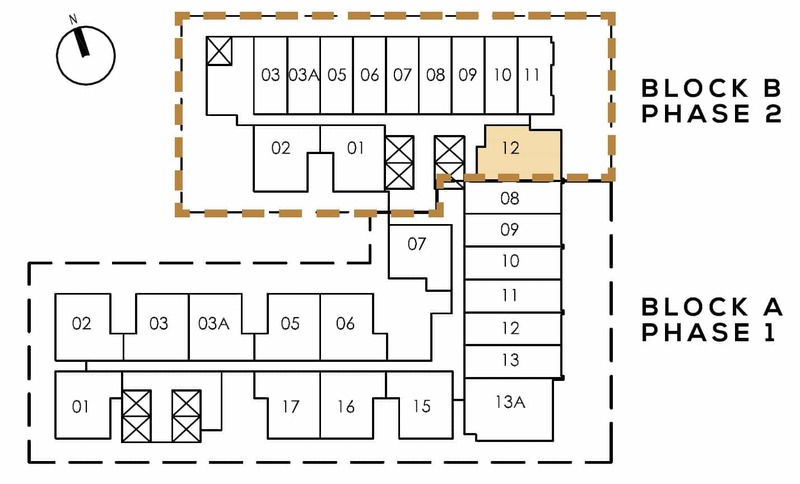 The Dual-Keys a very popular, new housing concept in Singapore, as it provides great flexibility for the buyer on how to use the space, i.e a homeowner can stay in one side of the unit, while renting out the other for passive income. Or the space can be used as an office. The units will be spread across two towers. 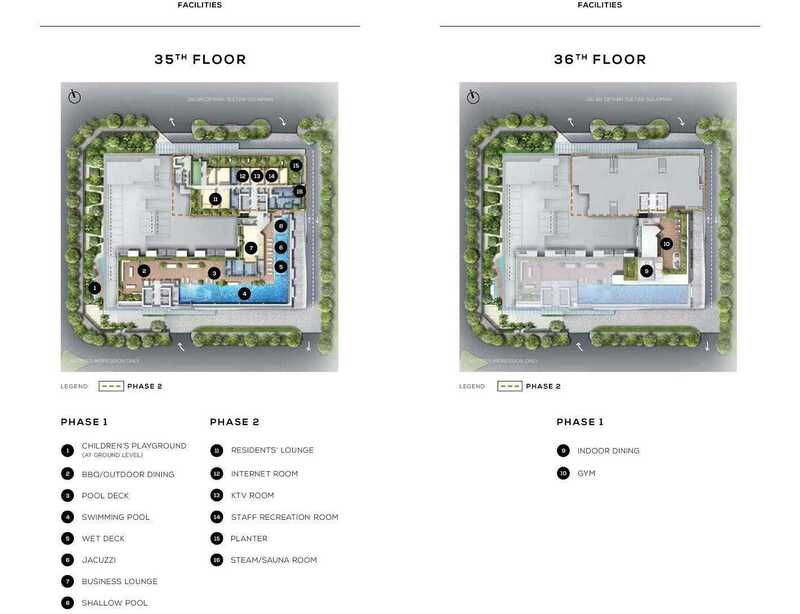 Tower A is 33 storeys with 423 units, while Tower B will have 43-storeys with 300 units. The target market are investors and young working adults in their 30s who do not have a family yet and likes living in the city. 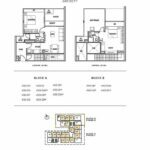 The Tower A units range from 705 sq ft to 1,155 sq ft, with a majority of them in the 705 sq ft and 945 sq ft range. 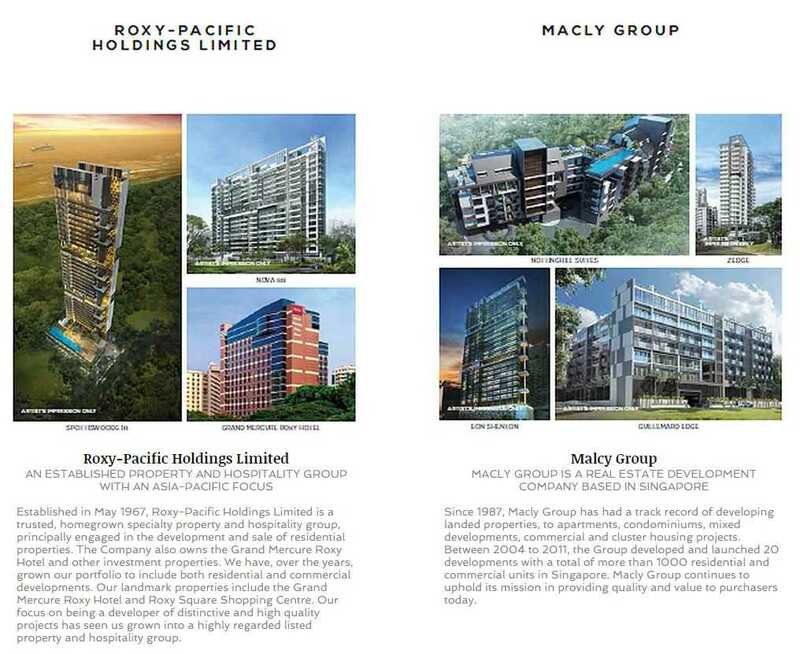 Established in May 1967, Roxy-Pacific Holdings Limited, an established property and hospitality group with an Asia-Pacific focus, was listed on the SGX Mainboard on March 12, 2008. The Group is principally engaged in the development and sale of residential and commercial properties (“Property Development”) and the ownership of Grand Mercure Roxy Hotel and other investment properties (“Hotel Ownership and Property Investment”). Structured and Matured city in Malaysia attracting entrepreneurs and expats setting up offices and residences due to established schools, universities, hospitals and entertainment all within the vincity. Transformation of Kuala Lumpur City into Greater KL that will see the increase in population from 6 million to 10 million that will increase the demand for property. One of the 20 most liveable city in the world. Currently, Kuala Lumpur is amongst the top 10 best city to stay in Asia. 5 new Mass Rail Transit lines is now under way to make Kuala Lumpur a highly transport connected City. Mega Projects to strengthen Kuala Lumpur as global city of choice are underway. Kuala Lumpur holds the highest individual foreigners’ property transaction in Malaysia and most monies are contained here. Ease of disposing your property for potential buyers to cash out or renting out is easy reducing your risk exposure. Very competitive price in KLCC (Kuala Lumpur City Centre) prime area from average RM13xx psf. Located along Jalan Sultan Sulaiman, the The Colony by Infinitum is strategically located next to City Quill Mall and Medan Tuanku LRT which connects The Colony by Infinitum with Bukit Bintang shopping malls such Lot 10, Pavilion with a few LRT stops away. Petronas Twin Tower and Suria mall is also within 5 minutes drive. The Colony by Infinitum Location is simply 5 min walk to Medan Tuanku Monorail Station. It is also close to LRT terminals such as Sultan Ismail LRT, Kelana Jaya LRT, Gombak LRT, Mosque Jamek LRT, as well as Dang Wangi LRT. There won’t be any sort of headache when it involves visiting demanded destinations of the city as well as be attached to the comfort life could provide. The Colony (Block A) & The Luxe (Block B) by Infinitum provides spacious units that varies both for commercial and also residential. These units have elegant designs to fit your decided on lifestyle. It also permits you to enhance as well as design your own device according to your picked preference and demands. Sophistication and roomy units for your personal comfort as well as ease. The commercial units offers a large area to place your company on. With features that give spacious look, it will definitely offer a bunch of benefit to the future staff and also clients. It has big glass window attribute and also high ceiling, wonderful comfort awaits the future tenants and also business owners. In addition to the elegant interior attribute, a number of luxurious homes are outfitted in the property. These establishments are both beneficial to both future residential as well as commercial tenants. A sophisticated lounge will certainly welcome you on the ground floor which is a fantastic function specially for those company that will certainly inhabit the commercial units. Total 723 residential units with 31 commercial units. 3 bedroom apartments (33 units) – Limited!! Simplex only. Dual View + High Floor. Balance of the first 10% payment [less of Booking fee /Admin fee (SGD5,000) & Early’s Birds Rebate]. Completed developments around KLCC are averaging RM1300psf-RM1800psf such as the Marc Residence, Vipod Suites, SOHO Suites, Hampshire Residences, etc. As new developments are selling at future prices (in 2019), being RM1400psf is considered very attractive to many. Aside from that, most of the new developments in KLCC are asking from RM1800psf-RM3000psf such as The Ruma Hotel and Residences, The Mews, The Ritz-Carlton Residences, etc. Average rent for smaller units in the vicinity is averaging RM5psf. Based on the selling price, ROI on investment is looking at 5%/annum. As the site is situated in the proximity of a shopping mall and a monorail station, The Colony by Infinitum is expected to have a good influx of tenants. Aside from that, considering that each unit is a SOHO, the flexibility of being an office and a residential unit opens up to a wider spectrum of tenants. Furthermore, as there are a few hotels (Sheraton Imperial, Tune Hotel) in the vicinity, owners can choose to rent out short term to further increase rental yield. Singapore – UOB Limited, Maybank Bhd.